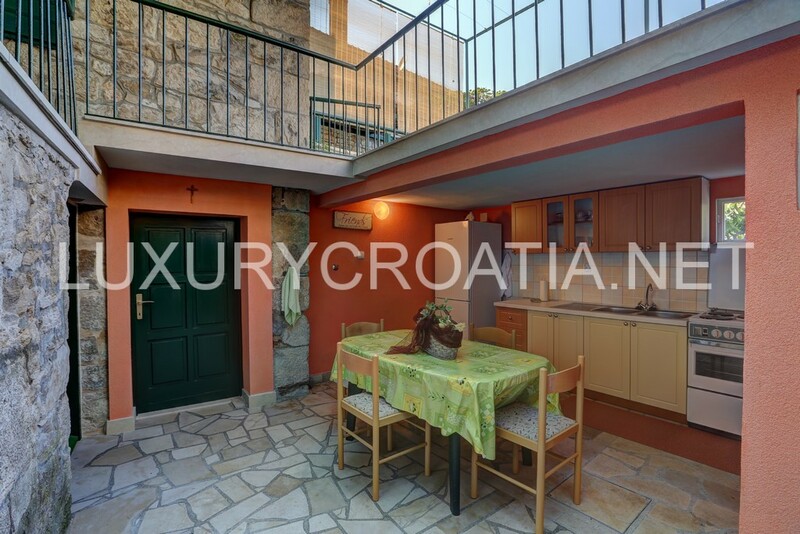 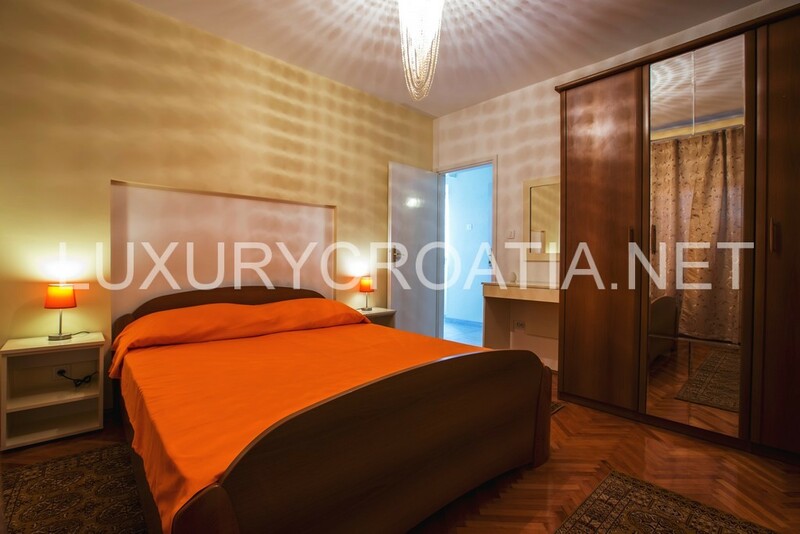 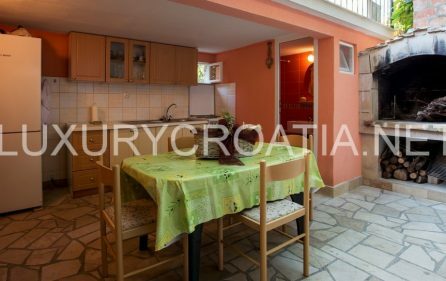 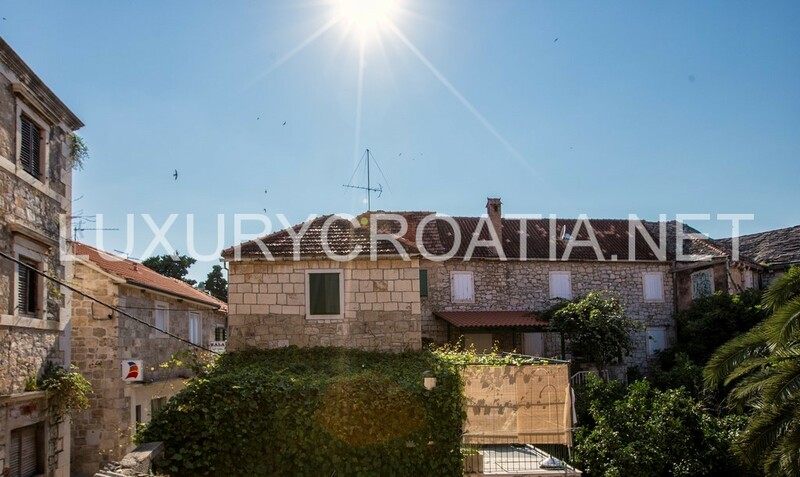 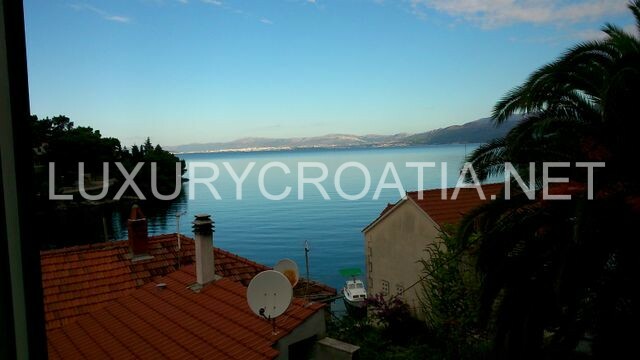 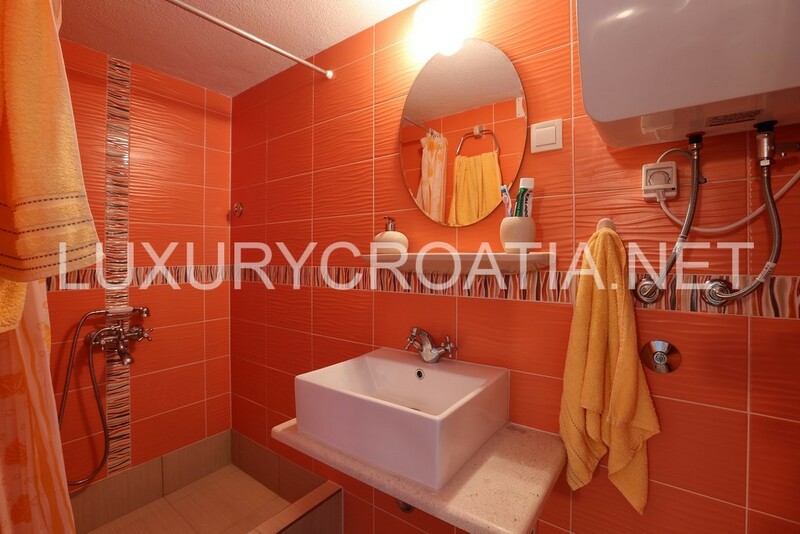 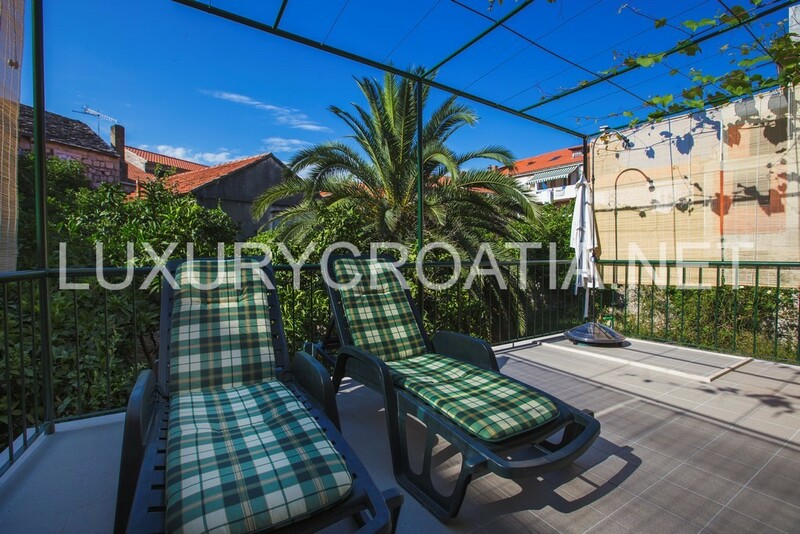 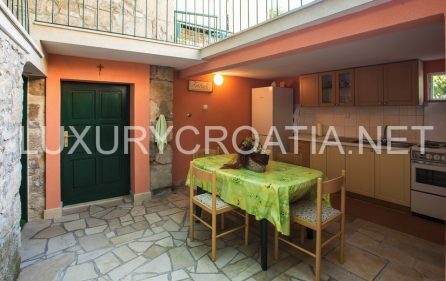 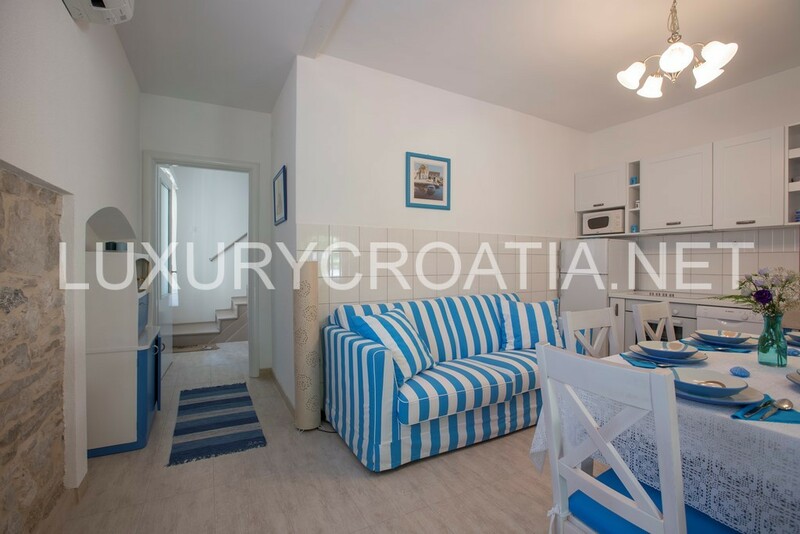 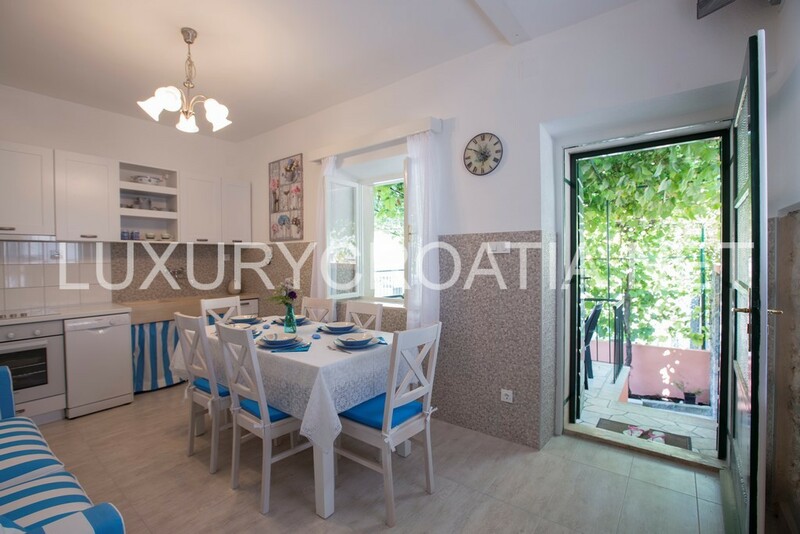 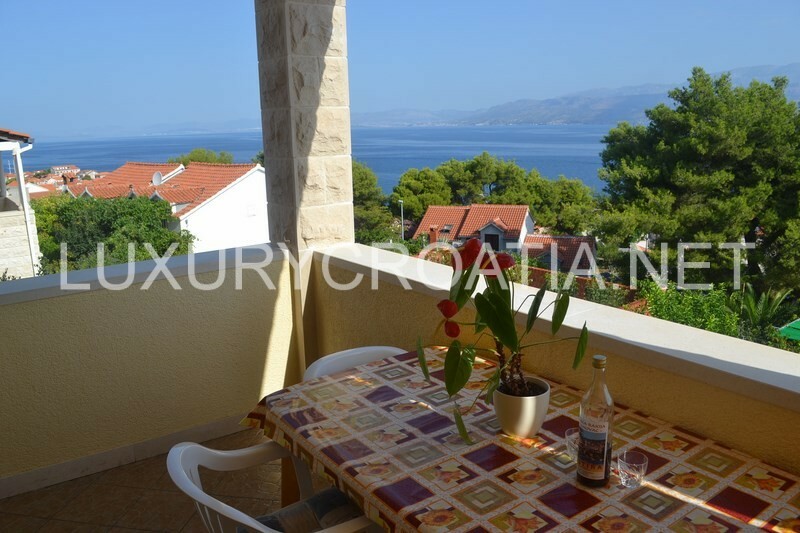 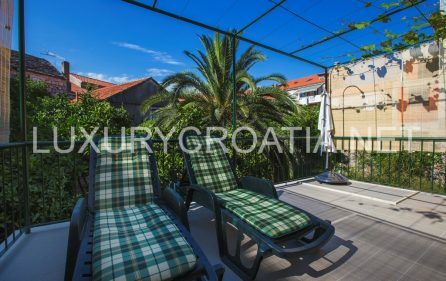 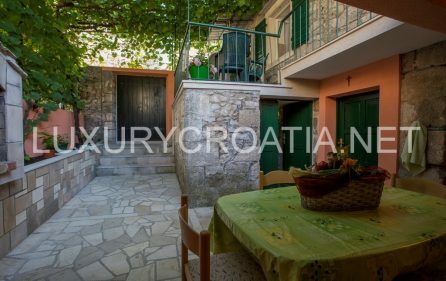 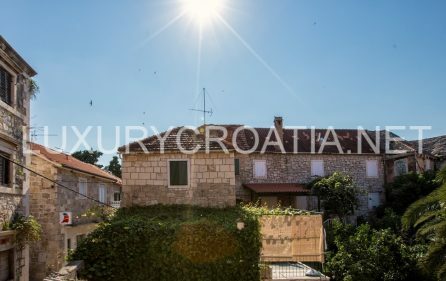 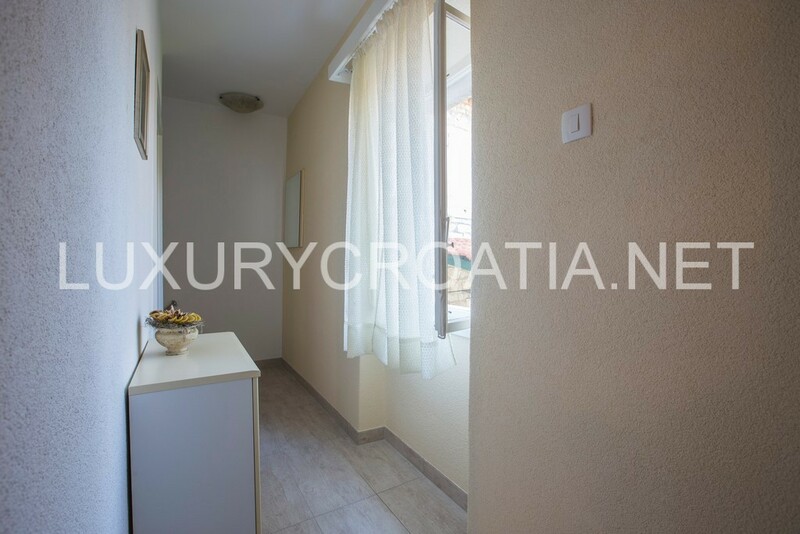 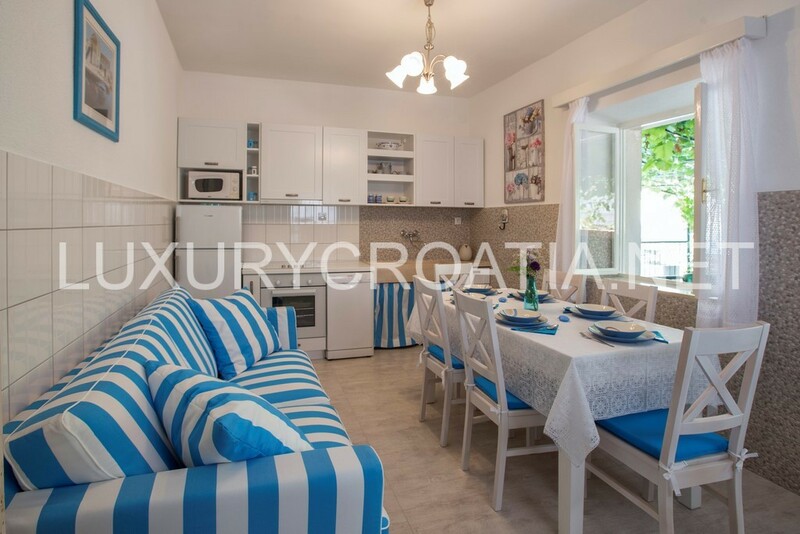 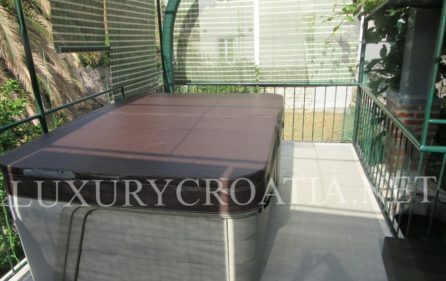 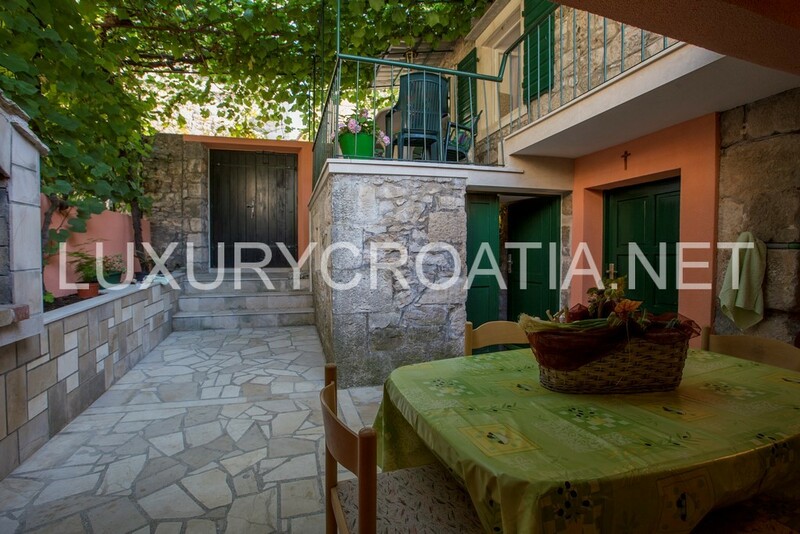 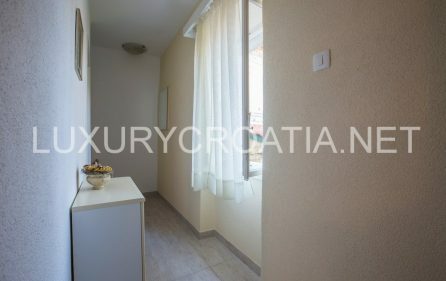 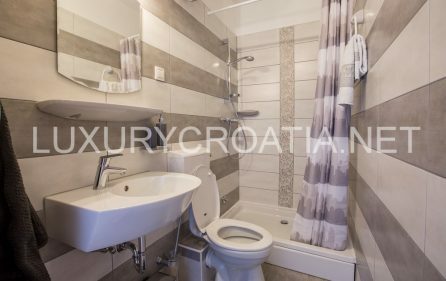 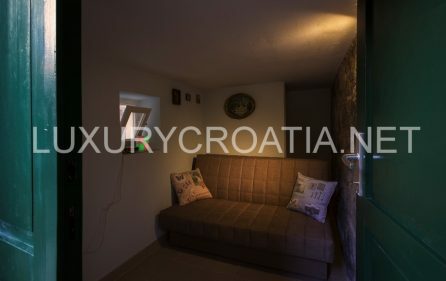 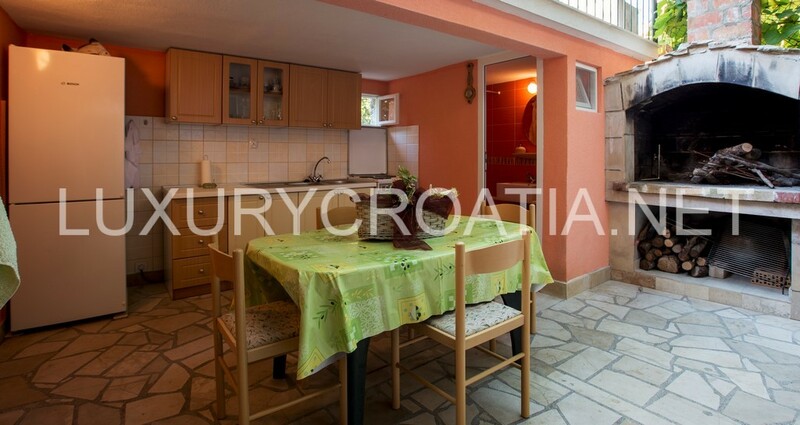 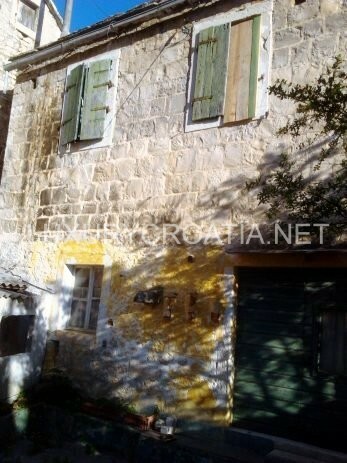 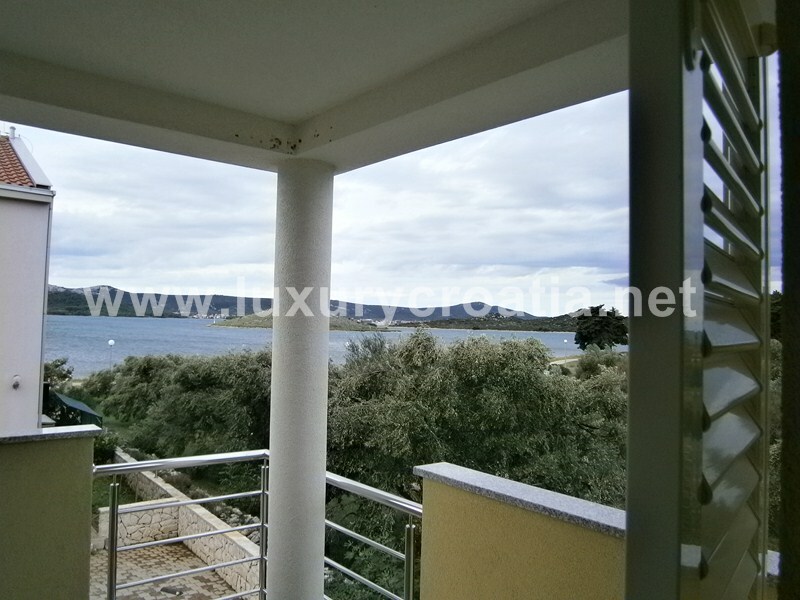 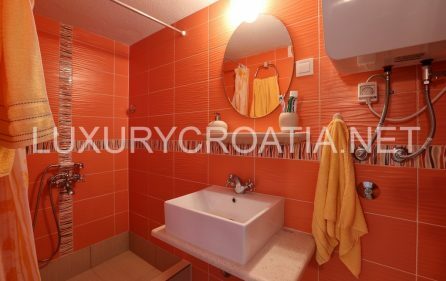 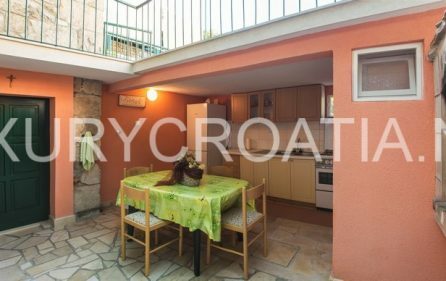 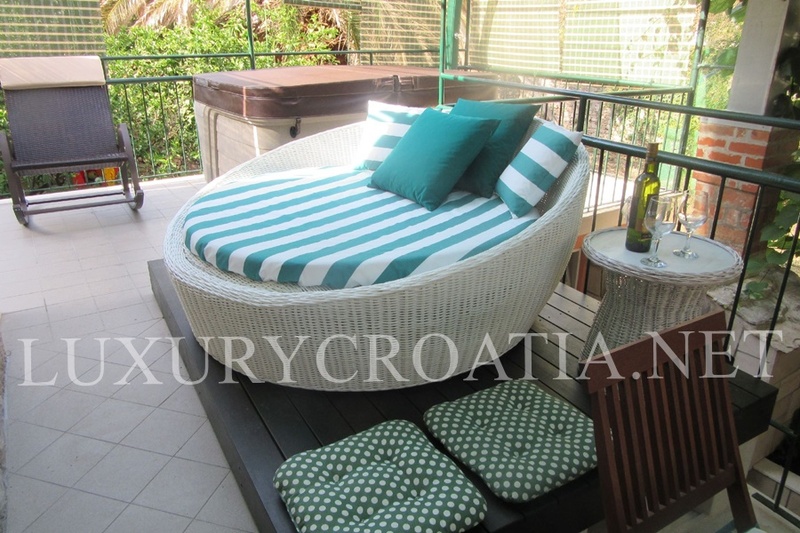 Traditional stone house for rent, Postira, island Brac was completely renovated in 2014, located in the center of Postira. 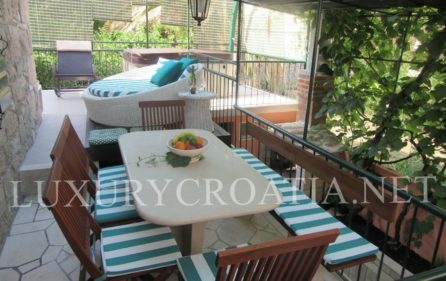 Newly furnished in Mediterranean style meets all requirements of a modern life. 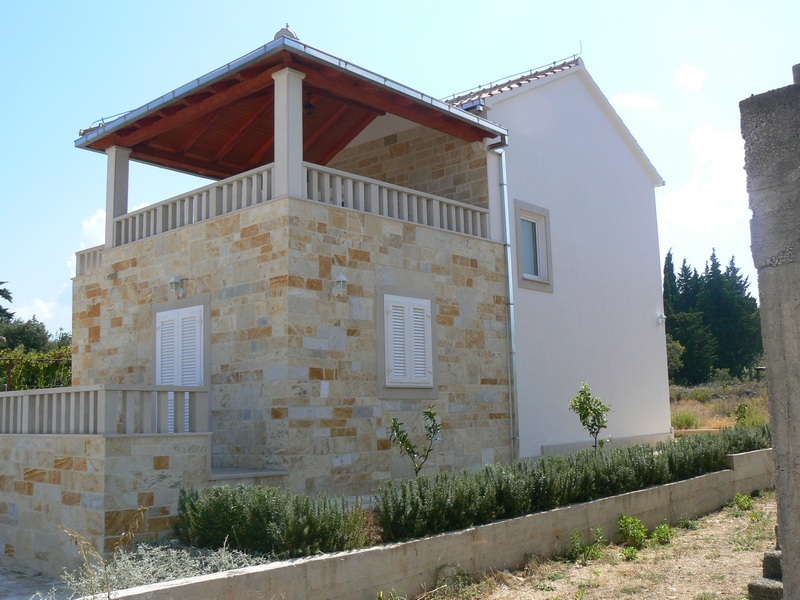 Built entirely of environmentally friendly materials – wood and stone and particularly marked by ancient detail, it stands in the shade of wine grapes. 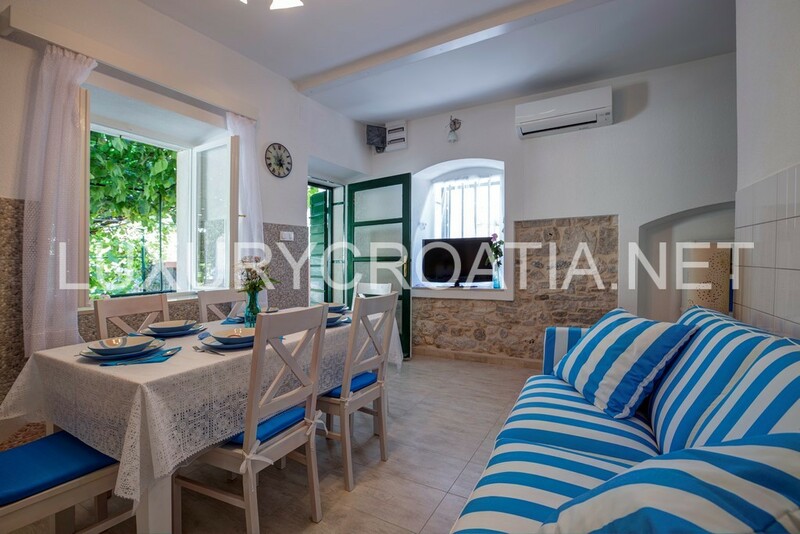 The villa accommodates 6 adults + 1 child and in the summer annex has accommodation for 1-2 adults (annex is suitable also in case some guests have servants, a cook or a babysitter). 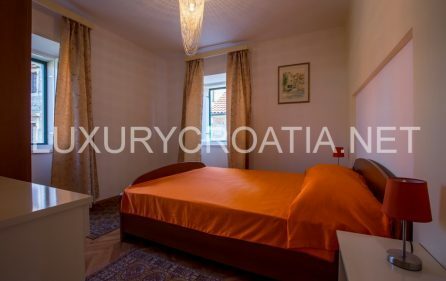 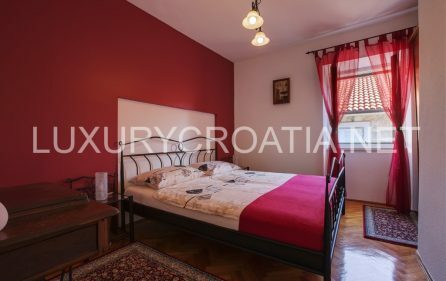 There are three bedrooms in villa, one with 2 single beds on the 1st floor, one with a king size bed on the 2nd floor, and the third with queen bed and a bed for a child up to 18 years (ottoman) also on the second floor. Villa has 2 bathrooms, one on each floor and a living room with kitchen and dining area on the first floor (that part is air conditioned). 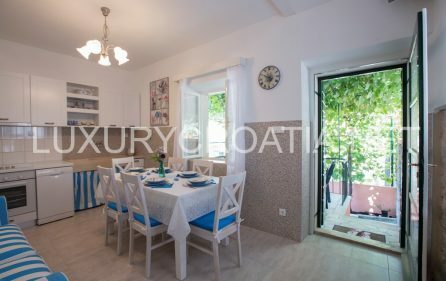 The outer part consists of a terrace with a stone table for 8, and another terrace with deck chairs and sun shower, a courtyard with a stone fireplace and summer annexes which contains: 1 small room with sofa bed for 1-2 persons, fully equipped kitchen with dining table and bathroom. 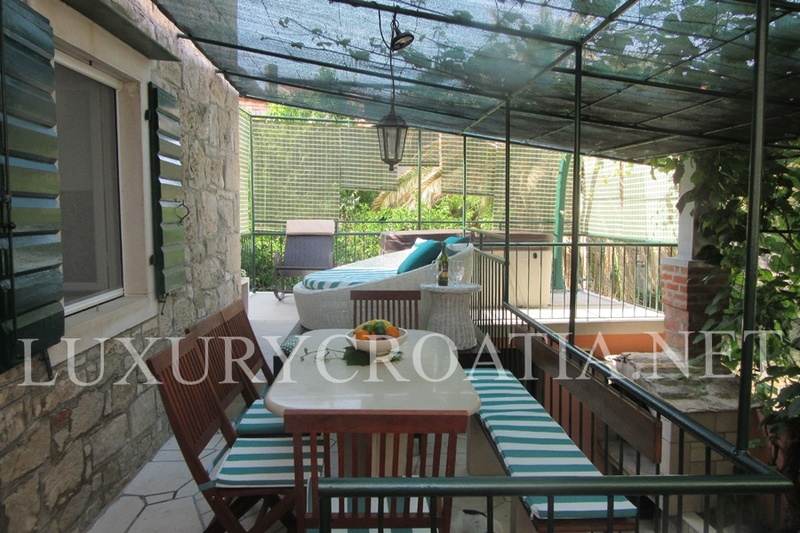 Distance from the center is 30 meters and from the beach also 30 meters. 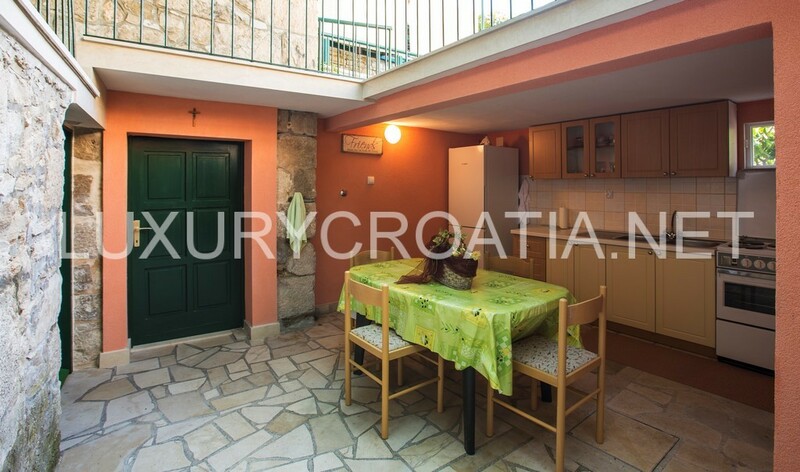 Inside of 40 meters distance there are: market, first aid station, piazza, pharmacy, post office, ATM and a parking lot. There are four beautiful beaches in the city. 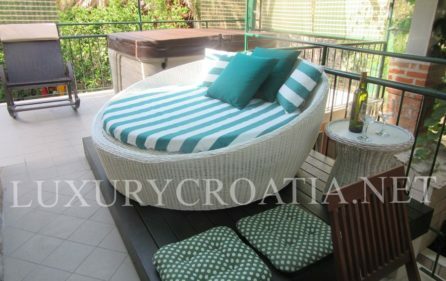 Lovrečina is a big gorgeous sandy beach, only 4 km away.